Modified constraint-induced movement therapy (CIMT) protocols show motor function and real-world arm use improvement. Meanwhile it usually requires constant supervision by physiotherapists and is therefore more expensive than customary care. This study compared the preliminary efficacy of two modified CIMT protocols. A two-group randomized controlled trial with pre and post treatment measures and six months follow-up was conducted. Nineteen patients with chronic stroke received 10 treatment sessions distributed three to four times a week over 22 days. CIMT3h_direct group received 3 hours of CIMT supervised by a therapist (n=10) while CIMT1.5h_direct group had 1.5 hours of supervised CIMT+1.5 hours home exercises supervised by a caregiver (n=9). Outcome measures were the Fugl-Meyer Assessment, the Motor Activity Log, and the Stroke Specific Quality of Life Scale. The modified CIMT protocols were feasible and well tolerated. Improvements in motor function, real-world arm use and quality of life did not differ significantly between treated groups receiving either 3 or 1.5 hours mCIMT supervised by a therapist. [ARTICLE] Robotic neurorehabilitation in patients with chronic stroke: psychological well-being beyond motor improvement. Although gait abnormality is one of the most disabling events following stroke, cognitive, and psychological impairments can be devastating. The Lokomat is a robotic that has been used widely for gait rehabilitation in several movement disorders, especially in the acute and subacute phases. The aim of this study was to evaluate the effectiveness of gait robotic rehabilitation in patients affected by chronic stroke. Psychological impact was also taken into consideration. Thirty patients (13 women and 17 men) affected by chronic stroke entered the study. All participants underwent neurological examination with respect to ambulation, Ashworth, Functional Independence Measure, and Tinetti scales to assess their physical status, and Hamilton Rating Scale for Depression, Psychological General Well-being Index, and Coping Orientation to Problem Experienced to evaluate the Lokomat-related psychological impact before and after either a conventional treatment or the robotic training. During each rehabilitation period (separated by a no-treatment period), patients underwent a total of 40 1 h training sessions (i.e. five times a week for 8 weeks). After the conventional treatment, the patients did not achieve a significant improvement in the functional status, except balance (P<0.001) and walking ability (P<0.01), as per the Tinetti scale. Indeed, after the robotic rehabilitation, significant improvements were detected in almost all the motor and psychological scales that we investigated, particularly for Psychological General Well-being Index and Coping Orientation to Problem Experienced. Manual and robotic-assisted body weight-supported treadmill training optimizes the sensory inputs relevant to step training, repeated practice, as well as neuroplasticity. Several controlled trials have shown a superior effect of Lokomat treatment in stroke patients’ walking ability and velocity in particular. Therefore, our preliminary results proved that active robotic training not only facilitates gait and physical function but also the psychological status, even in patients affected by chronic stroke. via Robotic neurorehabilitation in patients with chronic stroke:… : International Journal of Rehabilitation Research. Rehabilitation can improve physical function and quality of life after a stroke. Virtual reality (VR) is an emerging modality for performing rehabilitation. We evaluated the effects of VR and conventional therapy among stroke patients. VR plus therapy improved specific health-related quality of life items. VR plus therapy also improved depression and physical function measures. In the present study, we aimed to determine whether game-based virtual reality (VR) rehabilitation, combined with occupational therapy (OT), could improve health-related quality of life, depression, and upper extremity function. We recruited 35 patients with chronic hemiparetic stroke, and these participants were randomized into groups that underwent VR rehabilitation plus conventional OT, or the same amount of conventional OT alone, for 20 sessions over 4 weeks. Compared to baseline, the VR rehabilitation plus OT group exhibited significantly improved role limitation due to emotional problems (p=0.047). Compared to baseline, both groups also exhibited significantly improved depression (p=0.017) and upper extremity function (p=0.001), although the inter-group differences were not significant. However, a significant inter-group difference was observed for role limitation due to physical problems (p=0.031). Our results indicate that game-based VR rehabilitation has specific effects on health-related quality of life, depression, and upper extremity function among patients with chronic hemiparetic stroke. via Effects of game-based virtual reality on health-related quality of life in chronic stroke patients: A randomized, controlled study. Functional electrical stimulation is an effective treatment strategy for the management of foot drop in various neurologic conditions, as demonstrated in improvements in gait performance, mobility, physiologic cost, perceived walking ability, balance, fall frequency, and quality of life. In this article, we review the current literature on the effects of functional electrical stimulation for foot drop in persons with multiple sclerosis. Continue–> Functional Electrical Stimulation for Foot Drop in Multiple Sclerosis. Our brains no longer work the same. We have cognitive deficiencies that don’t make sense, even to us. Some of us struggle to find the right word, while others can’t remember what they ate for breakfast. People who don’t understand, including some close to us, get annoyed with us and think we’re being “flaky” or not paying attention. Which couldn’t be further from the truth, we have to try even harder to pay attention to things because we know we have deficiencies. Almost 2 years post-accident, I still suffer short-term memory loss and language/speech problems. I have learned to write everything down immediately or else it is more than likely that information is gone and cannot be retrieved. My brain sometimes does not allow my mouth to speak the words that I am trying to get out. We suffer a great deal of fatigue. We may seem “lazy” to those who don’t understand, but the reality is that our brains need a LOT more sleep than normal, healthy brains. We also have crazy sleep patterns, sometimes sleeping only three hours each night (those hours between 1 and 5 a.m. are very lonely when you’re wide awake) and at other times sleeping up to 14 hours each night (these nights are usually after exerting a lot of physical or mental energy). Every single thing we do, whether physical or mental, takes a toll on our brain. The more we use it, the more it needs to rest. If we go out to a crowded restaurant with a lot of noise and stimulation, we may simply get overloaded and need to go home and rest. Even reading or watching tv causes our brains to fatigue. I love doing things others do, however my body does not appreciate the strain and causes me to ‘pay the price,’ which is something that others don’t see. I like to describe that my cognitive/physical energy is like a change jar. Everything I do costs a little something out of the jar. If I keep taking money out of the jar, without depositing anything back into the jar, eventually I run out of energy. I just don’t know when this will happen. Sometimes it’s from an activity that seemed very simple, but was more work then I intended. For me, like others with TBIs, I’m not always aware of it until after I’ve done too much. more–> 5 Things Every TBI Survivor Wants You to Understand | Amy Zellmer. [WEB SITE] Moving Beyond “Hand Waving”: Why Do People Sleep a Lot After a Traumatic Brain Injury? If you’re like me, you’ve told patients like this individual that it takes time for the brain to heal. You’ve explained that even a mild concussion can disrupt neural fibers and that mental activity may be more effortful following such an injury. I just read about what is more likely to be the actual explanation for those post-TBI symptoms. The Annals of Neurology1 published research showing that in severe TBI, there is substantial loss to specific types of neurons in the hypothalamus—namely neurons that are part of networks involved in promoting wakefulness or in regulating sleep. The potential explanatory power of these findings is impressive. Although this research was conducted in cases of fatal brain trauma, nonetheless it provides insights that will help scientific investigators and clinicians think more specifically about disruptions in sleep and wakefulness following any traumatic brain injury. TBIs are a major public health concern, affecting close to 2.5 million individuals each year in the US, according to the CDC statistics for 2010.2 Whether the TBI is mild or severe, at least 25% of patients experience some disturbance in sleep and/or level of daytime arousal following the injury. Symptoms in this arena may substantially affect recovery and contribute to disability. Every psychiatrist has encountered patients who have had TBIs—from mild concussions as a consequence of collisions on the soccer field or falls on icy steps to devastating brain injuries after motor vehicle accidents or barroom fights. These post-TBI patients frequently experience excessive daytime sleepiness in the face of what used to be sufficient sleep time. They also commonly exhibit pleiosomnia—the need for more than the usual amount of sleep in a 24-hour period. Less frequently, patients have disturbed nighttime sleep—insomnia. Effective approaches are needed to help patients with these post-TBI difficulties. The design of new treatment strategies depends on developing a better understanding of the mechanisms that underlie these post-TBI problems with arousal and sleep. In the January 2015 issue of Annals of Neurology, Valko and colleagues1 report on recent studies that followed up on research they published in 2009.3 Together, the two articles make several important points. They draw attention to the fact that hypothalamic injury is common in TBI. The authors point out that the posterior nucleus (containing histaminergic neurons) of the hypothalamus is most affected. They hypothesize that this is a consequence of shearing forces at the junction of the hypothalamus and the midbrain during head trauma. The authors identify a substantial loss of histaminergic neurons in the tuberomammillary nucleus of the posterior hypothalamus; these neurons are part of a major arousal-promoting system. 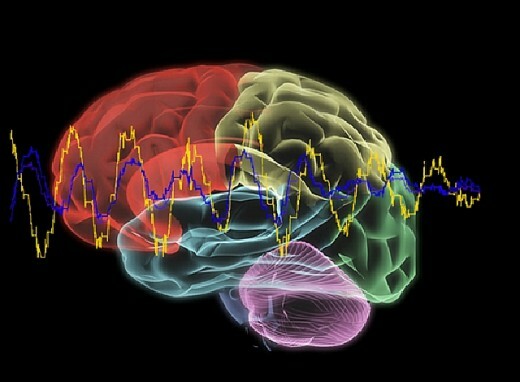 Continue –> Moving Beyond “Hand Waving”: Why Do People Sleep a Lot After a Traumatic Brain Injury? | Psychiatric Times. Here’s something you should do for your health: stand on one leg. Can you do it for at least 20 seconds? If so, your brain’s probably in pretty good shape. Japanese researchers have found this simple test is an excellent way to determine whether someone has cerebral small-vessel disease (SVD), reports Prevention magazine. SVD can be a factor in strokes, dementia and Parkinson’s disease. “Cerebral small vessel disease is a frequent finding on CT and MRI scans of elderly people and is related to vascular risk factors and cognitive and motor impairment, ultimately leading to dementia or Parkinsonism in some,” wrote an unrelated 2011 study published in BMC Neurology. The Kyoto University study, published last December in the journal Stroke, observed some 1,400 men and women with an average age of 67 attempt to stand with one leg raised and eyes open. All of the participants later had MRI scans done of their brains. Almost without exception, the study participants who had trouble maintaining balance on one leg had SVD; some of them had brain lesions or other brain disorders. Those who successfully balanced on one leg generally had brains without any signs of disease. They also scored higher on other, more traditional mental tests. via How healthy is your brain? Stand on one leg to find out | OregonLive.com. Advances in internet technology, creative interfaces and evidence-based therapies are combining to propel healthcare to levels only dreamed of. “The motive behind the use of this technology is to maintain the essential qualities of the health-care interaction, while improving access by overcoming barriers such as economics, culture, climate, and geography,” (Rees, 2004). The dominant theme of therapy is so often to examine and collaboratively develop solutions rather than allowing any one barrier to prohibit progress. On September 23, 2011 The New York Times featured an article entitled, ‘When Your Therapist is Only a Click Away’. Based on the buzz this article caused, it was placed on the homepage of the New York Times website, on September 25, 2011. The piece beautifully illustrates how online therapy is used by real people in the real world. The landscape of mental health is shifting dramatically. Online therapy is becoming mainstream and the evidence-base for such therapy services is growing in Canada and around the globe. Technology is exciting and it allows us to provide services to people that would not otherwise get help. Many vocational rehab professionals use their cell phone to talk to or text their clients. Some professionals use regular Skype sessions to communicate with clients, employers or other professionals. But it’s not just as simple as jumping online with a client. Professionals must be aware of and heed their legal and ethical obligations before practicing online. Telehealth has been touted as the most significant contribution to health-care delivery systems of the future (Bashshur, 1997). eRehabilitation, a component of telehealth, is a cutting-edge and flourishing means of delivering rehabilitation services. At Brainworks, we have further developed and defined eRehabilitation as a comprehensive treatment platform that uses interactive audio, video, or data communications to provide rehabilitation services at a distance. There are several advantages to providing therapy services online. By taking advantage of the power of the internet, services can be provided in context, with no commute for client or therapist, resulting in an overall cost savings. Moreover, shorter, more frequent sessions make good sense from a learning theory perspective, but until now have not been practical. Therapists can now provide more frequent mini sessions to spread out their involvement and contain costs while boosting efficacy. Clinical experience, confirmed by the literature, indicates that e-based sessions result in fewer cancellations. more –> Brainworks Client-Centred Rehabilitation – Emerging Tool in Rehab. More than 20 percent of Americans regularly consume prescribed drugs related to mental health issues, earning contemporary America the nickname, “the Prozac Generation.” However, developing safe, targeted, and effective drugs for mental illnesses has increasingly become a struggle for the pharmaceutical industry. As a result, there’s been a gradual withdrawal of research dollars from this area, despite the fact that globally, the mental health pharmaceutical market is worth more than $80 billion. According to the National Institute for Mental Health (NIMH), more than 57 million people, or 26 percent of the U.S. population suffer from some form of mental health problem. But despite the ongoing need, one can legitimately claim that research has not produced a novel neurological drug in the past 30 years. Additionally, many drugs currently on the market have been increasingly identified with negative side effects and limited efficacy. Until recently, most mood disorders were attributed to an imbalance in a single neurochemical, such as serotonin. Increasingly, scientists have come to acknowledge that this is an oversimplification that can lead to counterproductive treatment. Due to the complexity of brain networks, these pharmaceutical compounds may work to alleviate some symptoms, but they may exacerbate others. They may even contribute to new problems, such as cognitive impairment, suicide, or diabetes. Because the diagnosis of many conditions is a highly subjective process based on patient self-reporting, identifying the appropriate course of treatment is frequently an exercise in trial and error. High cost, negative press, and the lack of an efficacy model have resulted in the drying up of the drug pipeline for pharmaceutical treatment of mental illness. Continue –> Brain Training And The End Of The Prozac Generation.